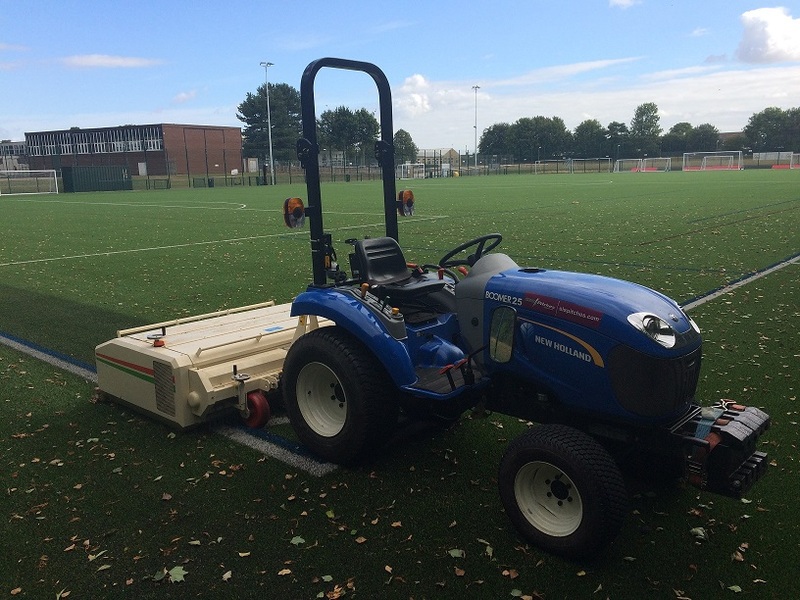 The amount of sports pitch maintenance required depends on a number of factors. These include the type of sport played, the location, whether it’s in the city or country, an open area or near trees, the frequency of use. There are lots of factors to keeping the best pitch, but our expert team can help. Our expert team consists of qualified and experienced operatives. Access professional advice and support from a friendly team. We use the best maintenance equipment designed to work on your surface. Regular maintenance ensures the surface plays better and lasts longer. Whatever the weather, maintenance should be carefully considered, for example, when snow is on the ground or in dry or wet conditions. If you’re unsure what to do, contact SIS Pitches for advice. 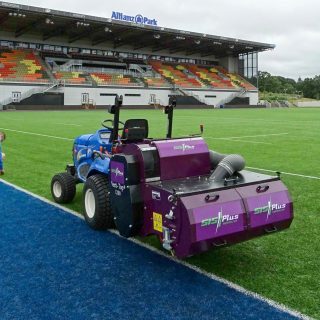 In general to maintain synthetic turf pitches, the fibres need brushing, the infill needs to be decompacted and the surface needs to be kept clean. 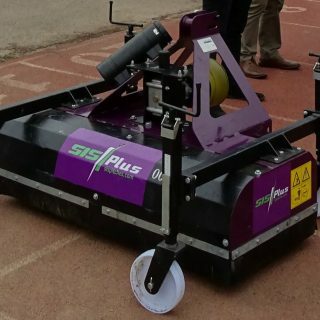 In comparison, maintaining hybrid and natural turf pitches entails a similar process, however due to each site’s specific needs please contact SIS Pitches for more information. 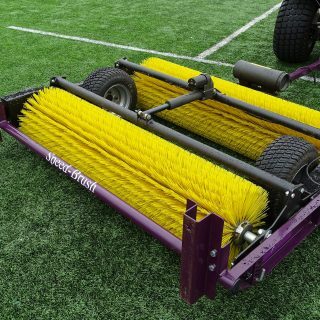 There are two types of grass pitch maintenance. 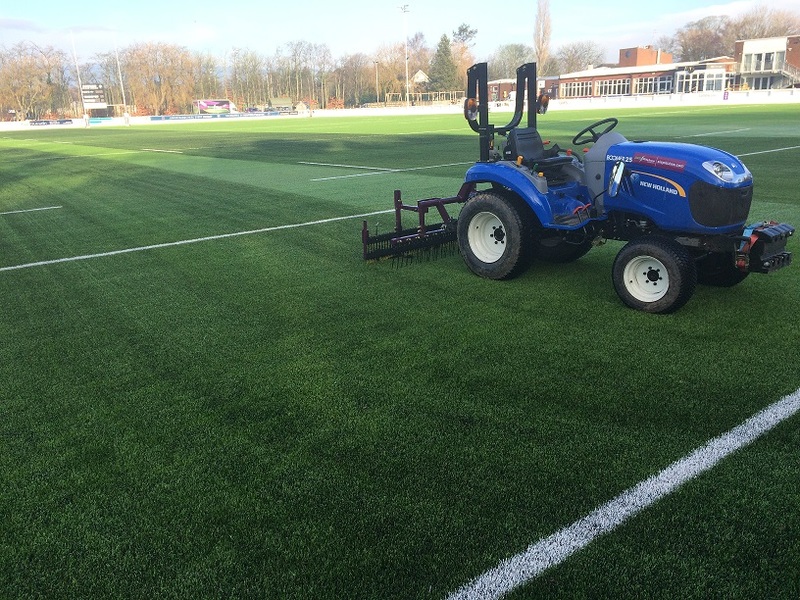 Routine turf maintenance which is carried out by the sports club and involves keeping the pitch clean, and sweeping regularly so that the pitch fibres are upright and the infill is regulated. The second is specialist maintenance which includes decompaction and more vigorous cleaning. 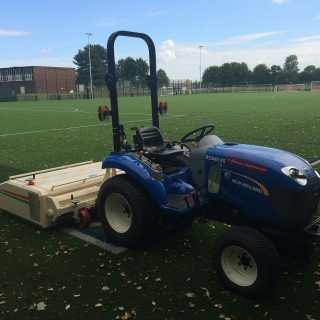 Whether we provide training for your pitch care, or provide a full sports pitch maintenance package, our expert team will make sure your pitch plays to its best level. 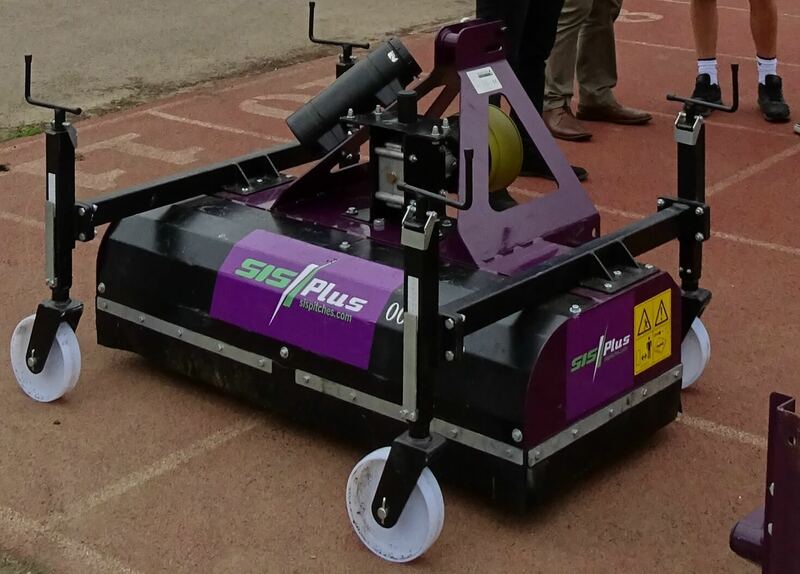 At SIS Pitches, we have our own pitch maintenance company, SISPlus, which ensure our pitches are maintained to the highest standards, supported by our high levels of customer service. 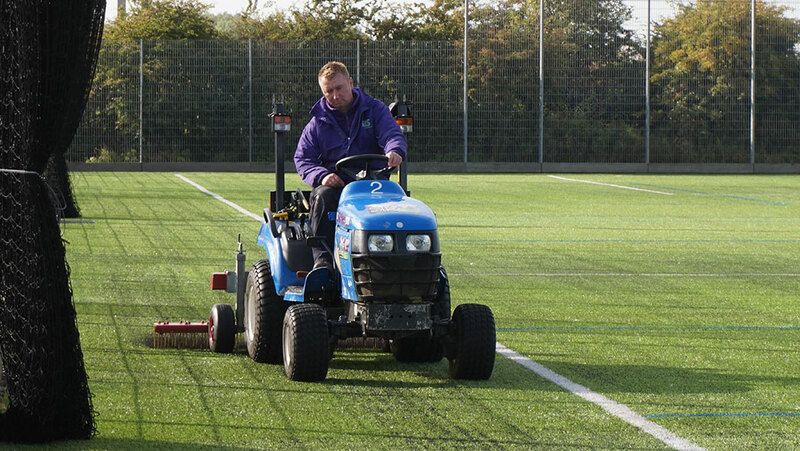 We offer a full sports surface maintenance package, with specialist equipment and experienced operatives. 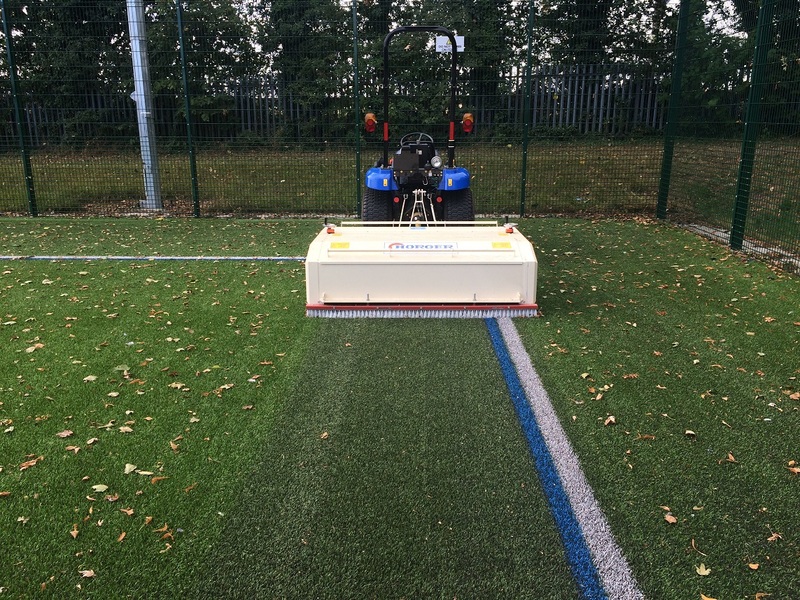 As a general rule we recommend that our pitches are brushed once or twice a week subject to the level of use. 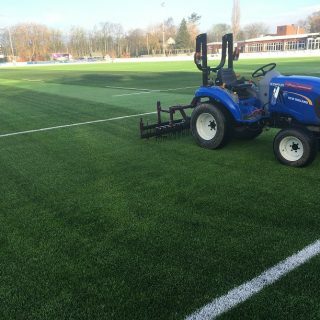 High wear areas such as penalty spots, goal areas and entrances may require more attention including checking and topping up infill levels. Our specialist team will treat heavily-used areas – penalty spots, goal lines and entrance areas from the changing rooms onto the pitch. We use specialist equipment to test the ball roll and bounce, to ensure that the pitch meets the required standard. 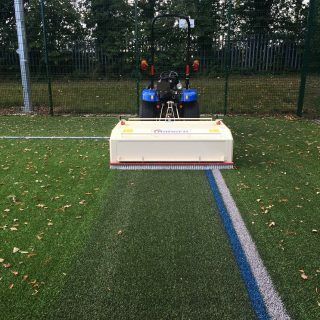 This machine uses stiff rotating circular brushes to decompact the infill and is ideal for pitches where the infill has compacted and the pitch has become hard. This cleaning machine combines rotating brushes, oscillating sieves and a vacuum to filter infill material. The larger contaminants are collected in the bins at the rear of the machine and any finer particles are collected in the vacuum bag. 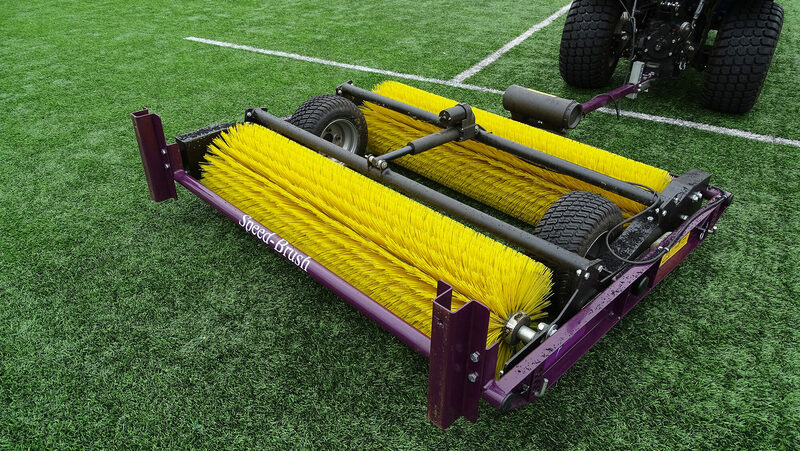 The Speed brush has 2 rotating brushes which are ideal for redistributing infill and maintaining an upright pile. As an addition to our comprehensive SISPlus maintenance programme, we offer a deep cleaning service, which should be carried out one or twice per year. 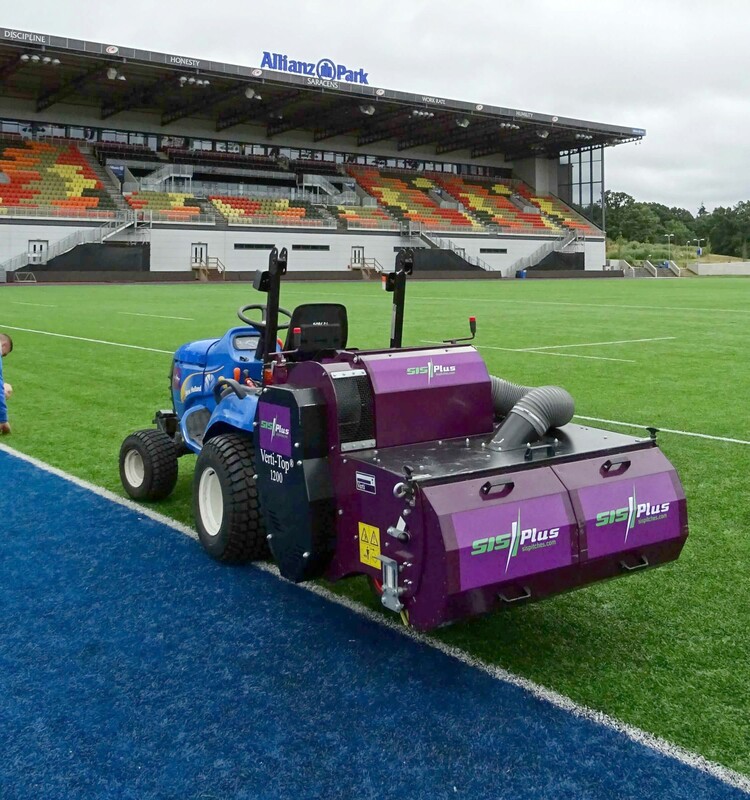 This is particularly important on heavily used areas, to ensure long pitch lifespan and optimum performance. Recently, we have added to our impressive fleet of maintenance machinery with the Horger SKU 1500 Cleaning Unit. This machine works by removing debris and dust from carpet fibres, alongside cleaning carpet infill materials which are then re-integrated into the pile. Horger can clean up to 65mm pile depth and benefits our customers by providing them with better playability and a more consistent surface.  For SIS Pitches costumers and as part of our maintenance service, we are delighted to offer you access to our SISPlus Online Portal. The portal is available on mobile and desktop and enables you to easily add weekly pitch reports in order to ensure that you can manage your pitch care routine efficiently and effectively. SISPlus gives you flexibility to update your pitch reports from wherever you are located-enabling you to easily keep on top of your maintenance duties. Access your sites and pitches, add your ground staff access and keep all documents in one place! Update your weekly pitch reports or keep track of your ground staffs work. it is imperative that you submit your reports on a weekly basis. Should you fail to do so, we will be informed! Watch informative videos, download documents and discover best practice on how to look after your pitch. Access to our portal is limited strictly for SIS Pitches consumers. Please contact maintenance@ should you require any assistance with SISPlus.